Free Macaron Alert: If you have a coffee break coming up, you may want to take it now. According to their Twitter, Financier Patisserie is giving free macarons out from 10:30 to 11:30 a.m. today at all of its locations. There are three in the Financial District at Fulton & Nassau, Cedar & William and on Stone St.
Is Fulton St. Getting A Financier? 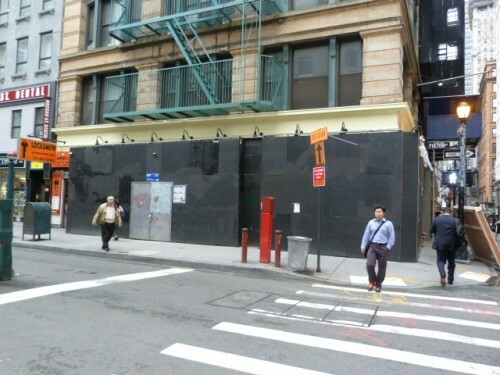 Posted by Andrea H at 9:30 am, June 24th, 2011 under Financial District, Financier Patisserie, Openings.